We've got something special coming up for you tomorrow. Live from 5pm UK time over on Twitch we're going to be streaming some live coverage of the beta of Love Letter. But wait, what's Love Letter you're probably asking. As you might be able to tell from the name, it's a game about wooing. You're playing a suitor, and you're chasing the hand of a princess. You need to use your charm, skills, and deduction in order to seal the deal, as it were, and win the princess's heart. Obviously there's a lot more to it than that, and if you watch our stream of the closed beta tomorrow, you're going to get a much better idea of what's what. And you'll get to hang out with James for a while too. He's awesome. We loved Reigns: Game of Thrones but what did YOU think? The big game of last week was Reigns: Game of Thrones. We covered it, and we covered it hard, but we're still here if you need more. And since you've had a few days of playing the game, we'd really love to hear what you thought about it. We covered , and then went super in-depth . If you prefer having words read to you, then check out the video at the end of this paragraph. It's pretty slick. If you like what you see, . Winter has finally come to the Pocket Gamer Podcast this week, as James and Ric both compete for the iron throne in Reigns: Game of Thrones. Speaking of epic battles, Huawei has decided to take a pop at the Nintendo Switch, revealing its new Mate 20 X smartphone and showing how it trumps the Switch specs in every category. James isn't so sure that's a fight you should be picking, and Ric doesn't want a phone with one wonky bolted-on controller on the side. They agree to agree. There's also chat about new Clash Royale-inspired racer F1 Mobile Racing, platformer port Max: The Curse of the Brotherhood, Dark Souls on the Switch, and more. We think it's fair to say that our Terraforming Mars stream on Wednesday was the finest we've done so far. Sure, there were a few technical glitches, but James Gilmour pushed through them with the inherent skills that a professional like him possesses. Or something like that. Anyway, if you missed the stream, you've still got a chance to catch up. How? Simply press play on the embedded video above, and you'll be able to watch every second of every escapade that James and his guests got up to on Wednesday. Earlier today, Tencent laid out its plans for this year's Arena of Valor International Championship, announcing a hefty $600,000 prize pool for competitors to duke it out over. The championship will see 16 major clubs work their way from regional competitions all the way up to the semifinals and finals in Thailand, set to take place on December 15-16 – tickets for those go on sale November 19th. The top four teams from the regionals will automatically progress to Thailand while the other 12 will hop on over to Vietnam to compete in a qualifier that's set to begin on November 23rd. Fans will likely already know that season 2 of the Valor Series is currently underway, with weekly competitions taking place in the West to decide who will progress to the regional rounds that are scheduled for November 9-10 in Sao Paulo, Brazil. This is your one hour warning - if you've ever wanted to go on an extended trip to the cosmos with James Gilmour, at 5pm UK time he's going to be streaming Terraforming Mars over on Twitch. The game is all about, as you might be able to guess, terraforming the red planet. Don't worry though, James won't be on his own. A couple of the team from Luckyhammers will be joining him on his Martian adventure.
. Or, you can watch the whole thing in a special widget on the front of the site. Today's the day. In a few short hours, James Gilmour will be hosting the official launch stream for Terraforming Mars. Live at 5pm UK time, the Gilmour-meister will be terraforming the crap out of the red planet. He won't be doing it along though, he's going to be joined by two members of the team who've been working on the digital edition of the game. Ashley and Sofi from Luckyhammers will be with James for the entire two hours of the stream. Yeah, you read that right, we're going to be playing the game for two full hours. So clear your schedule from 5pm to 7pm UK time tonight, because you're not going to want to miss a single second.
. In the meantime why not watch some of the videos of our previous streams, each more wonderful than the next. Did you think we'd forgotten about you, our loyal board game loving stream viewers? Well you were incorrect. We'd never forget about you, you're basically our favourites, which is why tomorrow live at 5pm on Twitch we're going to be streaming Terraforming Mars. This is the official launch stream of the game, and while we'd all love it if we only got to watch James Gilmour playing the game, we bet you're going to love the guests that we've secured to play alongside him even more. James is going to be joined by two of the team from Luckyhammers, the dev who's been working on the digital port of the awesome board game. Ashley and Sofi will be alongside side James from 5pm. This week, Em discovers she's going to play through Stardew Valley a third time because it's coming to iOS and it would be rude not to. Meanwhile, James finds out that Assassin's Creed Rebellion is finally emerging from soft launch, and talks to the creators of Brave Frontier: The Last Summoner. They then dive into the overflowing trough of new releases to chat about Badland Brawl, Candy Crush Friends Saga, ELOH, Grimvalor, Dizzy Knight, and more. Canada Cup 2018 has its sponsor, and it's a big one. Earlier today, the developer behind Dragalia Lost, Cygames, announced that it's sponsoring this year's event, which is set to take place October 26-28 at the Metro Toronto Convention Centre. We're very excited to announce that this year's will be presented by !!! We look forward to see who from the roster will be attending Canada Cup! This week, Em and James investigate the rumoured update to the Nintendo Switch hardware, and explore the changes they'd like to see in a new model. There's also chat about Dragalia Lost's first weekend performance, and the latest Asphalt 9 update. Meanwhile, Civilization 6 has appeared on iPhone, prompting the question "Just how small can you make drop-down menu while still being able to read it?" There's also coverage of Super Mario Party on Switch, plus Super Cat Tales 2 and Piffle on mobile. With the success of the Switch since its launch last year it's hard to think about Nintendo bringing out more versions. According to an article on , however, Ninty's already got plans for the next version of the popular console. Reports say that, despite the Switch's incredible launch, sales for the console are dropping and Ninty is pretty determined to do something about it. Though there aren't any solid facts about the device as of yet, it's likely to share many of the current features and an improved LCD screen. Thinking about it logically, of course there wouldn't be a single version of the Switch. The DS-style consoles, for example, had plenty of upgrades and designs where smaller bits and bobs were improved upon. We know we didn't give you much notice about last night's stream, so you don't need to worry too much if you missed it. Especially since we've embedded it above this paragraph, allowing you to watch it right this second. In the recording, which sees James making his way through the new content in the Valley of the Ancients update, you'll get to watch Mr. Gilmour find a magic tree and gain the power of the Temple of Life and the Temple of Immortality. This is your one hour warning. You've got 60 minutes to find your stream-watching hat and gloves, get settled in front of a monitor or a phone, and take a sip of your favourite stream-watching beverage. 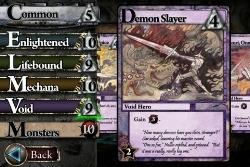 Because at 5pm UK time, James Gilmour will be live-streaming some new content from the Ascension beta. Well, this is a late announcement, but here at TableTap we know you're up for anything. 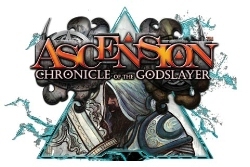 Tonight, live from 5pm UK time, James Gilmour is going to be streaming some live gameplay from the Ascension beta. Said beta went live yesterday for PC players, and sees you making your way through the Valley of the Ancients. Expect new cards, new decks to build, and plenty more along the way. If you're a fan of Ascension, this is one you're not going to miss.
. While you're there though, you could spend a lovely day watching all of our past streams. In total you could have eight and a half hours of Gilmour in your life today. What's not to love about that? What's that? You've been on one of our cousin sites, AppSpy, and noticed that its YouTube channel is wearing blue instead of red? Don't worry, it's supposed to be like that. 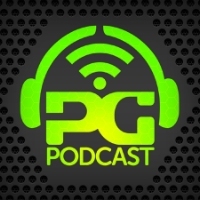 As you might have seen already, AppSpy's YouTube channel (which has always been a part of the Pocket Gamer family) is now officially Pocket Gamer's YouTube channel. The change first cropped up a few days back when the hands-on for Monster Hunter Stories (above) went live and, ooo, it looks good. What does this mean for AppSpy? Absolutely nothing. No, the only thing that's changed is the name. You'll still be graced by James' lyrical tones, regularly released and high-quality content, and mobile games galore. Just the way we like it. Earlier today, Supercell kicked off what is seemingly going to be a series of Clash of Clans animations. These animations aim to shine a spotlight on the game's most successful clans, whilst bringing fans closer to some of their favourite players. This particular video is based on an interview that was conducted with the winners of the 2018 French Clash Cup Tournament – Marshals' Kiss. The animation is really quite endearing, offering a quick little look into what seems like a friendly, supportive, and quite clearly successful team. Their words were transformed into a work of typographical art by the team over at Waste, an international producer of expertly crafted digital content. Today is an important day for inclusion in the industry. Many of the largest names in the gaming world are set to come together to support gamer charity SpecialEffect in their goal of transforming the lives of gamers with disabilities. The event – One Special Day – is now in its third year and continues to see great success. Some of the supporting partners this time around include SEGA, Electronic Arts, Codemasters, and Logitech. Once again, they will be donating a day of their UK revenue to help the charity get more people with disabilities involved in, and enjoying, video games. Thank you to the magnificent team for their Cyclolthon as they cycled the equivalent of London to the games room and raised £3K in the process! This week, Nintendo and pals unleashed the kraken of content upon the shores of the iOS and Android gaming continent. Within 24 hours we witnessed the app store birth of Monster Hunter Stories, Professor Layton and the Curious Village, and Harvest Moon: Light of Hope. In addition to touchscreen ports of these 3DS games, we were also given a historical first with Dragalia Lost, an original Nintendo IP created exclusively for mobile. Look, it's fine, honestly. We know you had that thing you needed to do, it happens to the best of us. Sure we're sad that you couldn't join us for our live stream of Splendor yesterday evening, but you've still got a chance to catch up with the whole thing.